When it comes to happiness, fulfillment and all those good things. Sometimes it’s best to go back to basics. With life as we know it, changing by the minute, it’s hard to keep up some times. I mean last summer you wouldn’t have been seen dead in a crop-top, now, it’s the in-thing, right? Today, is the launch of my biggest group coaching program to date, (watch this space), and with the topic being “The Happiness Project”, I’ve obviously had happiness on the edge of my tongue and keeping me up at night for the past month or so. The course I’ve put together, based on positive psychologists’ research, is A-Mazing, if I may so so myself, and I genuinely can’t wait to see the effect the course has on my clients, and my life. But in saying this, one of the biggest realizations I’ve had when it comes to the concept of happiness, is firstly, it’s your choice, and secondly, going back to the basics is ultimately what makes us most happy. I’m not about to indulge you in The Happiness Project facts, as I know you’ll get the most out of the course by simply signing up :) So instead, today, I want to share a bit on a theory I’ve developed through researching “happiness”. 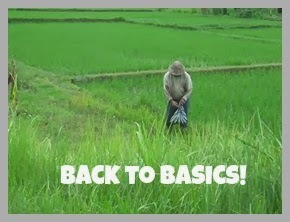 And that is, that sometimes, it’s best to go back to the basics!! New isn’t always better!! I’m sure you’ve noticed by now, how theories, styles and ideas seem to turn full circle over a period of say 10 years. 1 year you weren’t eating butter and started on marge, the following you were told to shift back to butter…and now, you back on marge. Same goes for diets, workout plans, you name it. YES, research improves and thus theories can be revised but ultimately a lot of the answers to your problems, are actually sealed right there on your conscience – ready for you to embrace anytime you want, free of charge. 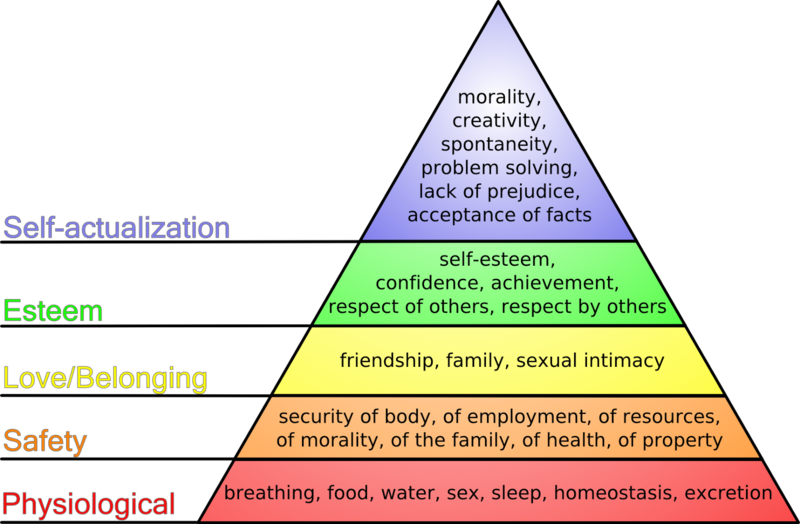 Let’s look at 'Maslow’s Hierarchy of Needs' for a minute.. This is old stuff, I know, and we are FAR more jacked-up now as to what we ‘need’ in order to feel fulfilled, but ultimately aren’t all the new and improved methods founded in this simple profound theory. Back in the day, it was sufficient to say that if these basic needs were being met, you’d be happy. Well, nothing much has changed, except that we now use fancier words for love, self actualization, self esteem, safety, etc.. This knowledge of us merely calling something by a different name and thus redefining it isn’t new. You know this already, it’s just hard sometimes to go back to the basics, the things we’ve always known. It’s easier to keep trying new diets, workout plans, happiness courses, religions. And yes, sometimes something new is JUST what you needed, but most of the time we just need to get real with ourselves! If you didn’t see lasting results on the first diet you were on, it’s unlikely you are going to see them on this one either. The basics look something this like..Eat more fruit and veg, cut out sugar, go low on carb-ey snacks, exercise regularly, love, be loved, remain grateful.. You know, the stuff even your granny could tell you. Sometimes, it just requires a little life coach, like me, to give you a good wake up call, and to say, STOP. Everything. WAKE UP. This is your life and you only get one. New things are great for those who need to progress, but sometimes, they are the very things that distract YOU from yourself. And right now, let’s get real; you don’t need any more distractions. SO, if you tired of jumping from one diet, work out plan, dream job to the next…then follow this link and download this pledge form, print it out, sign it and put it on your fridge. It’s time for you to start saying NO to new ideas and YES to the little voice inside you that’s dying for you to acknowledge it’s there. It’s time for you to wake up and shine. No longer will you be that guy/girl who jumps from one idea to the next, never really gaining ANYTHING or completing anything, NO, it’s time to dig deep and be real with yourself about what you actually need to change in your lifestyle, thoughts, etc. It’s time to get this all on paper, and then write down the 3 things you can do, TODAY, to help you move you forward. No BIG diets, NO big workout plan ideas, NO – this is just you, being realistic, and stating the obvious. You've got all the answers sealed up there in that brain of yours. It’s time to stop pretending, to stop running. It’s time to get in touch with yourself, your fears, regrets and desires and to define for yourself what needs to be done, today! !